As a small business, you need all the help possible to grow & move to the next level. Especially when research says that 8 out of 10 entrepreneurs fail within the first 18 months. There is one key thing that could help you increase your survival rate : Having the right contacts. Business success depends on paying customers, a great team, access to capital, cash flow, a good location, and good counsel. Networking with the right contacts, relationships and connections could help you with most of the above and increase your chances of success. How can you build those lasting connections? That’s where a tool like Twitter comes in handy. Twitter is a social media channel where you can share your message in a 140 character text box, with or without an image or a video. You can also have a link to another webpage. With over 300 million active users and 500 million tweets a day, Twitter offers a huge opportunity for you to reach out to the right connections. You can connect with prospects, influencers, investors and even friends & family who might be able to help you succeed in business. And with 80% of Twitter users on mobile, you have a networking platform which is not only online, but also mobile. Profile Pic : Choose a good photograph of yours, preferably a head shot as your profile photo (remember, 80% are on Twitter users are on mobile, so your profile pic needs to be clear in small screens). You could use the logo when registering your business account. Twitter Bio : You have 160 characters (yes, 20 more than the regular Tweet limit of 140) to tell the world who you are. Think hard and come up with a nice sentence to express yourself. If you are setting up your personal account, you could include the Twitter handle of your business, in your bio. Cover pic : The cover image needs to be 1500 X 500 px. Visit the Twitter support site which has useful information on how to set these up. Location : This information could help you connect with people from a specific location, since Twitter usually shows up relevant contacts in the suggestions column based on this information. Website : URL of your business website, this is a great way to get people to visit your business website. And then there are details like theme colors, birthday, etc which I recommend you set up. Congratulations! Now you are all set, to use one of the most powerful Social Media tools. Twitter allows you to follow anyone. So you are all set to get connected with as many number of people from your industry as you like, which otherwise might take ages. Choose people you want to follow carefully. They can be your existing or prospective customers, vendors, and colleagues. You can also add your industry influencers and your competitors. By following someone you will be able see their posts on your news feed. Once you have added the first set of contacts to your account, the next step is to start tweeting. Make sure that you share relevant content. Twitter has a fast moving feed and any number of tweets per day is welcome. 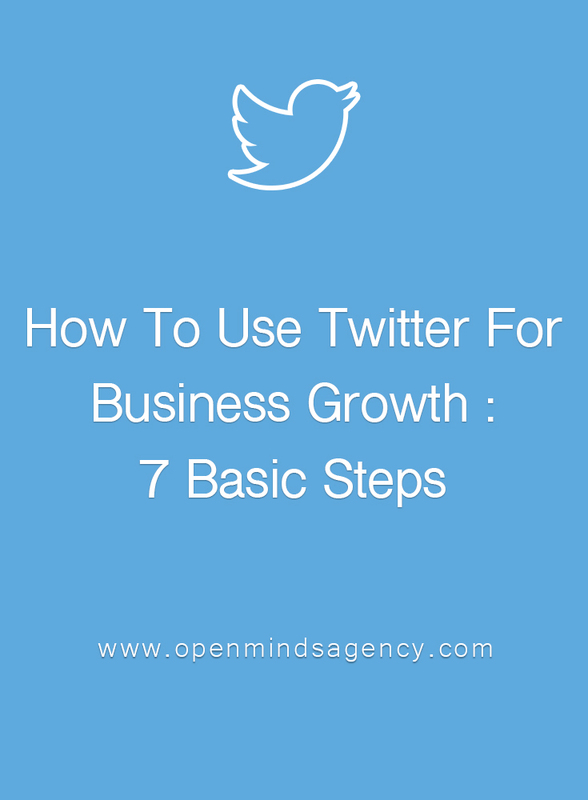 The key is to make sure that you are able to tweet on a daily basis. So make sure that you set a consistent pace. Ensure that you add hashtags (a word or a phrase, starting with the pound symbol # with no space) to highlight your post and make is searchable. Check out this useful article on how to add hashtags. You can also read our review of Hashtagify, a useful tool for hashtag analysis. Visual content gets more attention, so if possible add an image or video to your tweet. Here is an earlier blog that we published with a visual guide on how to add a video in Twitter. Once you follow people and start tweeting it is possible that people might start following you. Usually it starts with people whom you follow. Later, people who might be keen on your area of work will search for you and start following you. Direct Message: Once people follow you, then you have the opportunity to send them a direct message, if you feel you can add value. But use this with caution as twitter might suspend your account if you spam. Check out this page for more details about why & how Twitter suspends an account. Always try to add value to your audience. This simple guideline will make you a good influencer. Once this cycle is set, you can start tracking tweets from people. Find the top hashtags in your industry and use this to generate a feed of tweets relevant to you. As you are consistently tweeting and listening to people on your industry, you will start seeing your followers increase. Your posts will now start getting more attention. 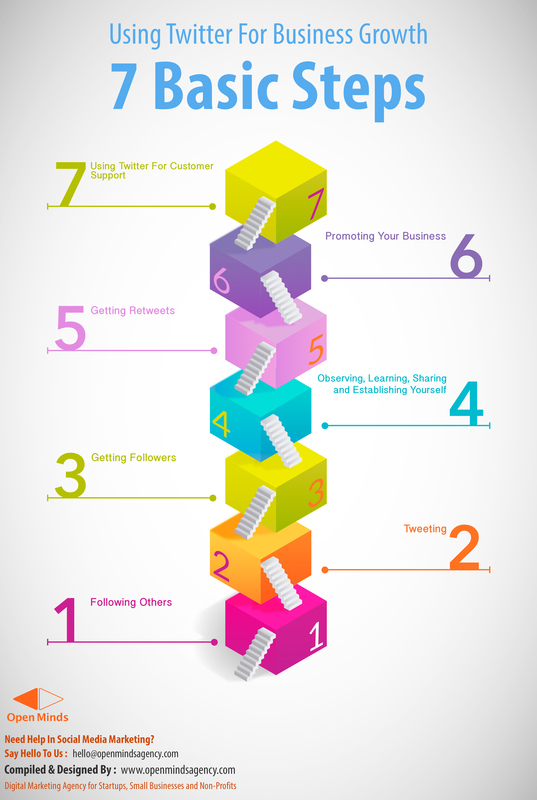 Depending on the quality of content, your posts might get retweeted by the Twitter community. Watch out for these Retweets. Thank the people who Retweeted your Tweets. This is when you start gaining credibility in this new and powerful market place called Twitter. Promoting your business is not a bad thing. In fact you should plan to promote it regularly. Just make sure that you have ‘given’ enough before you start ‘asking’. You should plan to give at least 8 – 10 good useful content to your audience before you ask for an action on 1 promotional content. You can have marketing/promotional content in your tweets with a call to action (CTA). The CTA could be a simple email subscription for newsletter or a registration on your website or better still, a special offer on your product. 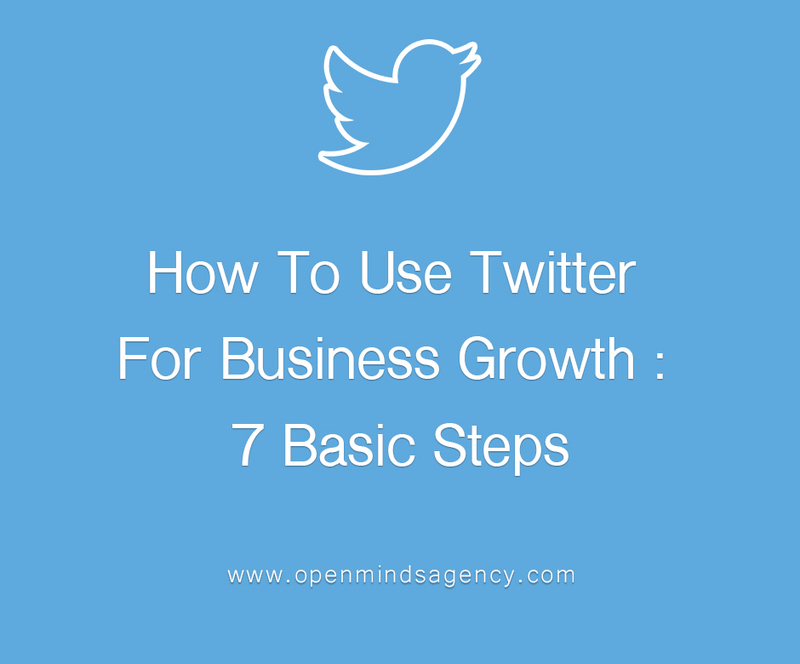 Once you have start using Twitter at this level, you could think about using it to serve your clients. 73% of small and business owners using the platform say they are able to respond to customer support issues faster using Twitter. Twitter is a social media tool that is evolving and there are no hard & fast rules on how to use it. Be creative and willing to experiment with different posts, different frequency, different ratio of types of posts etc. to see what works best for you and to arrive at the right mix. Leave your comments, if you would like to add to the above content. Let us know if you like more information on any other specific topic and feel free to contact us if you need help in increasing your social media presence. Head - Operations in Open Minds Agency. Digital Marketing Enthusiast with more than 20 years of sales and marketing experience. Excited about helping businesses in the digital space.